Two of the Manchester phoneticians are in Potsdam this week, participating in Ultrafest VIII a cyclical event focused on the use of Ultrasound Tongue Imaging in speech science. 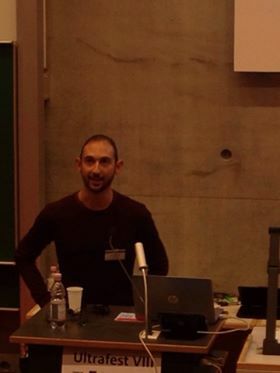 PhD student Stefano Coretta gave a talk on ‘Vowel duration and tongue root advancement in Italian and Polish’, whereas colleague Patrycja Strycharczuk talked about ‘Midsagittal correlates of tongue lateralisation’ (joint work with Donald Derrick and Jason Shaw). Stefano and Pat have now gotten the scoop on the latest developments in ultrasound techniques, so there are exciting times ahead for new research at the Manchester Phonetics lab.